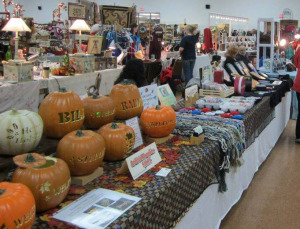 Every year since 1989, the guild puts on a fun, festive, fall craft show. The Fall 2018 Craft Show included a craft auction, demos, & craft workshops for children & adults, as well as a selection of handcrafted items including jewelry, paintings, purses, holiday decor, floral, crochet, & more! 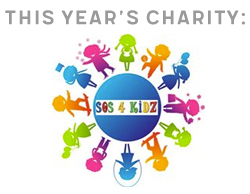 Partial proceeds are donated to a different charity each year – this year we donated to SOS 4 KIDZ! Our Fall Craft Show is usually held at the end of October. To be eligible for a craft show, you must be a current member in good standing, and have no overdue Erie Guild of Craftsmen library books. All items displayed must be handcrafted by the Guild member. Absolutely nothing for resale. A sliding scale is used to determine the table fees of our shows. The qualifying meetings for the current year’s show include September through December of the previous year, and January through June of the current year. Each member signs their own name in a log when attending a Guild meeting for verification of the number of meetings they attend.